The average price was 7 cents higher than it was a year earlier, when diesel was $3.01 a gallon. Diesel prices climbed in all regions except in the Central Atlantic where it fell by three-tenths of a cent to $3.310, DOE said after its March 25 survey of fueling stations. Also last week, the national average price for regular gasoline climbed 7.5 cents to $2.623 a gallon, DOE’s Energy Information Administration said. Gas prices jumped in all regions, but the average remained 2.5 cents cheaper than a year ago, EIA said. At the same time, Southern California Gas Co. announced it will lower the price of compressed natural gas at all of its 13 public-access natural gas vehicle fueling stations by 26 cents per gallon beginning April 1. “Lowering the cost of this clean fuel increases the benefits for trucking fleets and others that have switched from gasoline or diesel to natural gas,” Yuri Freedman, senior director of business development at SoCalGas, said in a release. Natural gas costs significantly less than gasoline or diesel per GGE [gasoline gallon equivalent]. The average pump price at utility CNG stations was $2.37 per gallon in February, whereas the average cost of gasoline in California was $3.24 per gallon, and the average cost of diesel was $3.73 per gallon, the Los Angles-based utility reported, citing EIA data. The utility is able to offer a reduced pump price by returning revenue to customers that is generated from the sale of Low Carbon Fuel Standard credits. “We are at the advanced product-development phase,” Robb Janak, director of new technology at Jacobs Vehicle Systems, told Transport Topics. The company manufactures the “Jake Brake” diesel engine retarder that uses the engine to aid in slowing and controlling the vehicle. The Bloomfield, Conn.-based company is working on both variable value actuation and cylinder deactivation for upcoming engines. “An in-engine solution gets rid of a lot of [emissions reduction] complexity, makes the engine more efficient, and makes the rest of the selective catalytic reduction system and diesel particulate filters work better,” Janak said. Crude oil futures on the New York Mercantile Exchange closed March 25 at $58.82, down from $59.09 on March 18. U.S. crude has retreated after reaching $59.98 a barrel on March 21. Disappointing economic data and continued uncertainty over the U.S.-China trade war have dampened sentiment. That has offset continued signs that the producer coalition led by the Organization of Petroleum Exporting Countries is committed to curbing output, according to Bloomberg News. 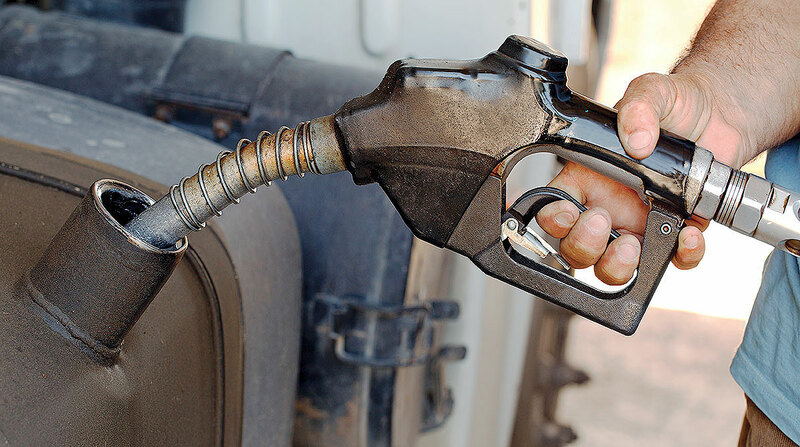 Despite the economic warning signs, the threats to oil consumption seem “overpriced,” Phil Flynn, a senior market analyst at Price Futures Group Inc. in Chicago, told Bloomberg March 25. U.S. unemployment remains low, gasoline demand has been robust and crude supplies look to get tighter in the coming months thanks to cuts by OPEC and its partners, he said. EIA reported U.S. commercial crude oil inventories increased by 2.8 million barrels for the week ending March 22 compared with the previous week. At 442.3 million barrels, U.S. crude oil inventories are about 2% below the five-year average for this time of year. Some viewed the rise as an indication of weakening global demand.